How to spend a day in the Cotswolds. A day doesn't really sound like long enough does it? When I first discovered the Cotswolds and decided that I was desperate to visit I hadn't really appreciated the true size of the area I was wanting to explore. 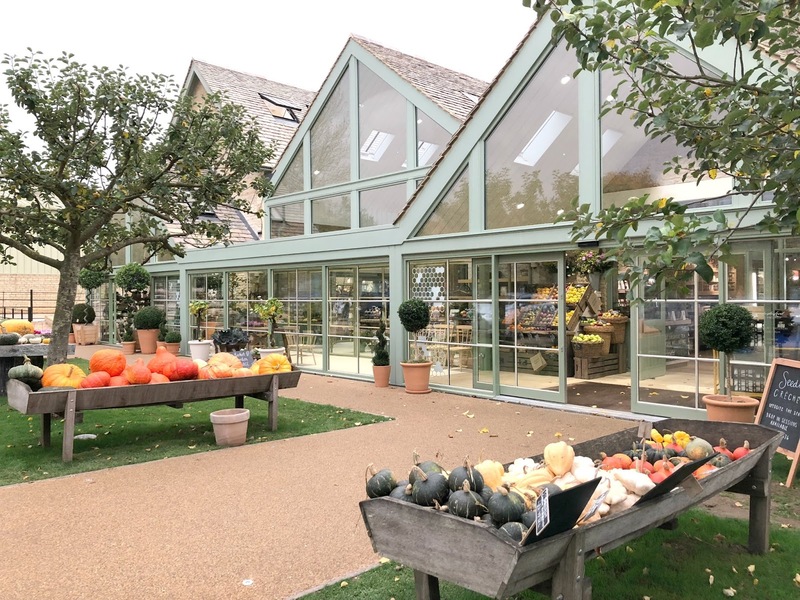 The Cotswolds stretches across six counties - Gloucestershire, Oxfordshire, Wiltshire, Somerset, Worcester and Warwickshire and with 90 miles of beautiful countryside to discover planning a day trip isn't exactly easy and it's impossible to do it all in a few hours! 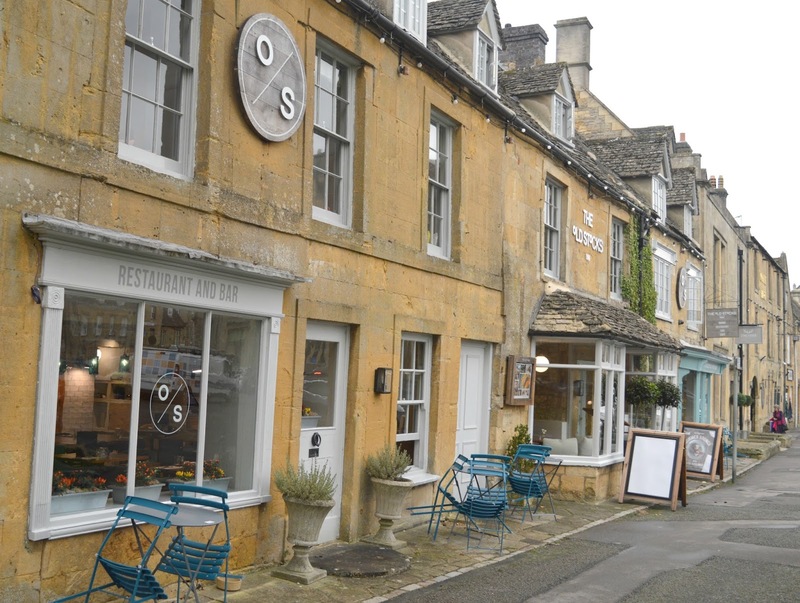 We were based at The Painswick in Gloucestershire and decided to explore the North Cotswolds, plotting out a little itinerary to take us on a circular route round some of the prettiest towns and villages in the area. Unfortunately original plans were somewhat scuppered when a storm threatened to hit. Our Cotswolds trip coincided with "the day the sky turned red" meaning that, along with the rest of the country, we were slightly worried that the end of the world was coming so cut our trip short. It also explains why most of my photographs look like I've put a weird filter on them! Here's where we managed to get to, and a brief mention of the places that we had wanted to see but never made it to! 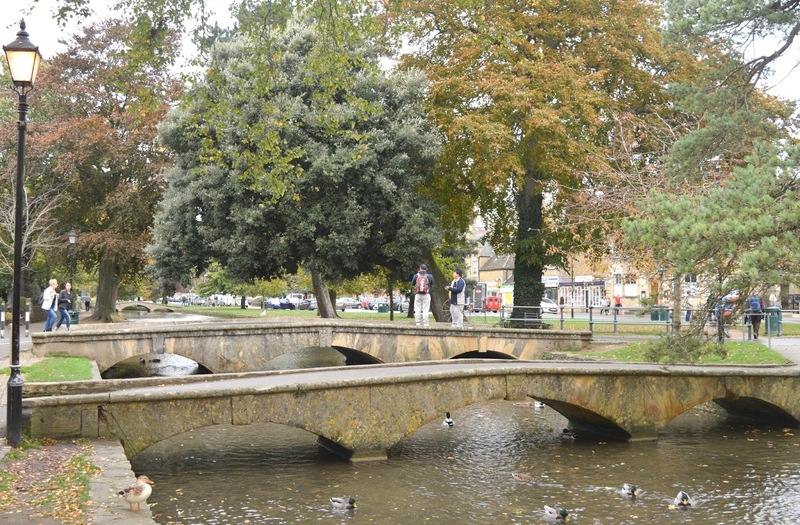 A 45 minute drive away from The Painswick, our day started at Bourton on the Water, known as Venice of the Cotswolds it boasts a picture perfect display of weeping willows and beautiful little bridges over the River Windrush. In the height of Summer it is crazy busy with tourists and even on a very murky Monday morning in October there was a fair amount of people carrying cameras and selfie sticks trying to get the perfect shot of the bridges - if photography is your thing visiting Bourton on the Water certainly requires a certain amount of patience. 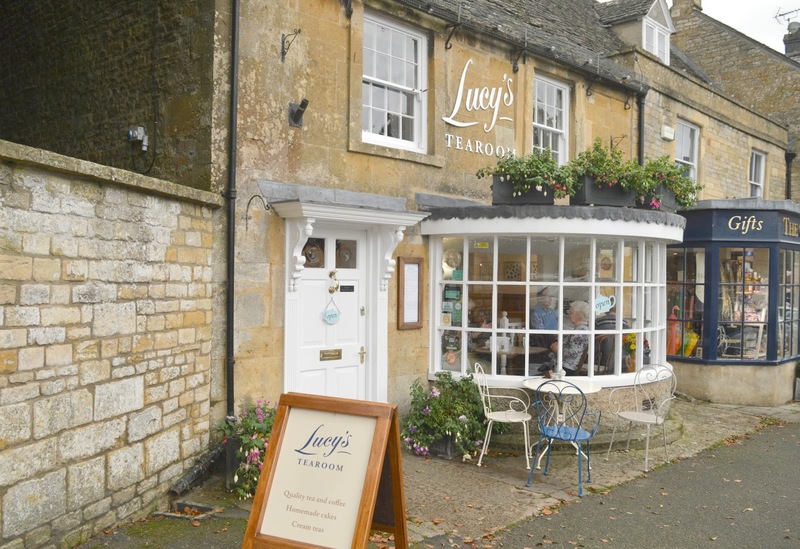 With an abundance of honey coloured buildings to admire there's a huge amount of tea rooms, pubs and quaint shops to visit and it's the kind of place where you could easily spend hours doing not very much - the perfect place to relax and enjoy the beauty of the English countryside. On a nice day the neighbouring villages of Upper and Lower Slaughter can be reached by foot with a lovely 5 mile round walk between the villages. The highest spot in the Cotswolds, Stow on the Wold had me giddy running from street to street claiming that each was prettier than the last. One of the best known of the Cotswolds towns the market square is surrounded by a beautiful display of typical Cotswold town houses and shops. Cosy pubs and cute tea rooms sit on every street and I definitely need to return on a sunnier day! A morning of pottering is exhausting so when we were in need of a break we decided to stop at Daylesford Farm just outside Kingham for a cup of coffee and some pastries before enjoying a look round the organic farm shop which included a butcher, bakery, creamery, fishmonger, grocer, cookshop and homewear store. Definitely far fancier than our usual grocery shop round Tesco it was a great spot for people watching and playing fantasy shopping (there was no way we were going to be able to afford to deck our cupboards out in all this lovely looking produce). 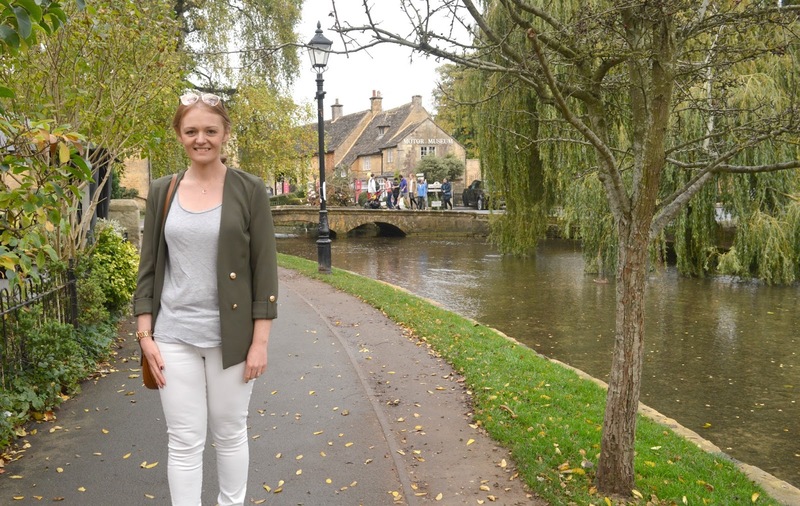 Our plan for the day had also involved stopping off at the beautiful Medieval town of Burford, the most beautiful village of Bibury and the old market town of Cirencester but unfortunately we were running away from the storm and never made it to any of them! ... sometimes running away from a storm isn't a bad thing! For more adventures from New Girl in Toon follow along on Facebook and Instagram. My hubby and I have booked a week in feb - I cannot wait!! I've never visited the Cotswolds! It does look lovely - cute lil tearoom-filled towns are my jam! 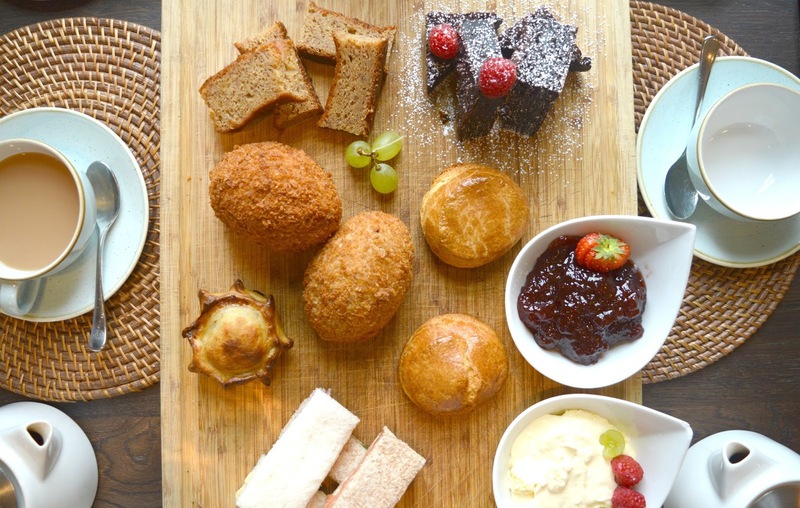 Looks like a lovely day out, it's a shame the storm spoiled the rest of your plans but your afternoon tea looks delicious - I'm sure that made up for it!